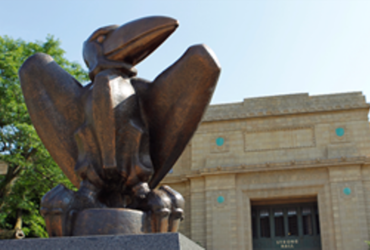 Koch Industries Inc. will donate $2.6 million to Kansas State University. The university announced in a news release Monday that the funds will support diversity initiatives, research and creative inquiry. Koch has sponsored Project IMPACT at the university for eight years, and the latest gift renews that support and directs new money to other projects. Project IMPACT recruits and retains multicultural students, and develops their interest in business, engineering and diversity. The new gift will also support the Kompass program, an orientation and first-year retention program providing incoming multicultural and first-generation students effective study habits. Koch also will help sponsor the Research and Creative Inquiry Enrichment Fund, which gives students real-world learning experiences, and supports faculty-led and undergraduate research projects and an annual Research Symposium.